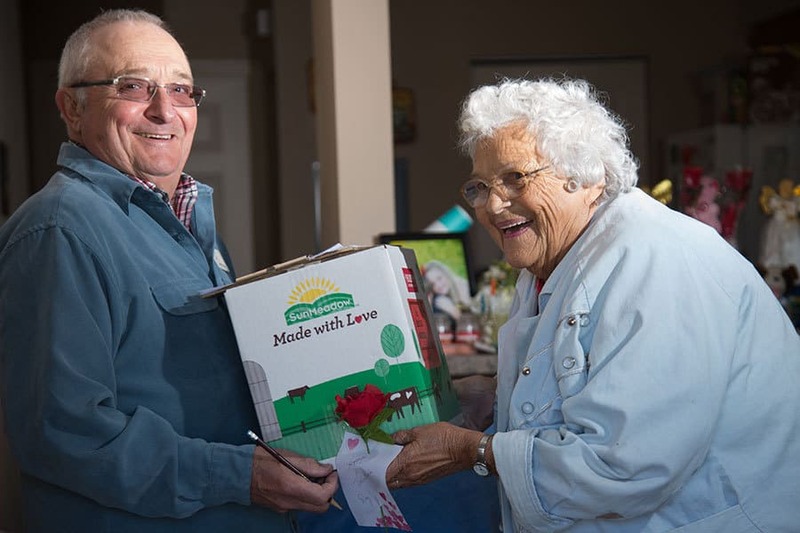 Friendship Home Delivered Meals provide well-balanced meals to older adults through a partnership with GA Foods. The meals are prepared fresh and are quickly frozen to assure optimum freshness when heated. Meals are delivered to seniors’ doors frozen so recipients can use them at their own convenience. Home delivery is a convenient way to get meals to those who can’t cook or are homebound. In addition, home-delivered meals are a great way for long-distance care providers to be sure their loved ones are receiving healthy, nutritious meals. Homebound individuals 60+ receiving case management services may qualify to receive meals through this program without charge or for a minimal donation. If you do not qualify for a state or federally-funded program, those 60+ can still participate in the home-delivered meal program through private pay. Call the number corresponding to your area below for more infomation and costs. Friendship Home Delivered Meals are delivered once a week, and usually provide 5-7 frozen meals at one time. If you participate in the self-pay program, you can choose the number of meals you wish to receive. Deliveries are scheduled in the following counties based on driver schedules, the program you are enrolled in and other factors. Please call the numbers below to find out how to receive at-home meal delivery in your county. Call the Elder Helpline directly to inquire about funded home-delivered meal programs in Sarasota County. Listen to the prompts and press the corresponding number to be connected with the Elder Helpline. A trained professional will ask about your individual situation, assess your needs and explain your options. Call the Friendship Centers to find out about funded or private pay meal delivery programs in Sarasota County. Call the Elder Helpline directly to inquire about home-delivered meal programs in Lee County. Listen to the prompts and press the corresponding number for more information or the Elder Helpline. A trained professional will ask about your individual situation, assess your needs and explain your options. Call the Friendship Centers to find out about private pay meal delivery programs in Lee County. Call the Elder Helpline directly to inquire about funded home-delivered meal programs in Charlotte County. Listen to the prompts and press the corresponding number for more information or the Elder Helpline. A trained professional will ask about your individual situation, assess your needs and explain your options. Call the Friendship Centers to find out about private pay meal delivery programs in Charlotte County. Call the Elder Helpline directly to inquire about home-delivered meal programs in DeSoto County. Listen to the prompts and press the corresponding number for more information or the Elder Helpline. A trained professional will ask about your individual situation, assess your needs and explain your options. Currently there is no private pay meal-delivery program in DeSoto County.